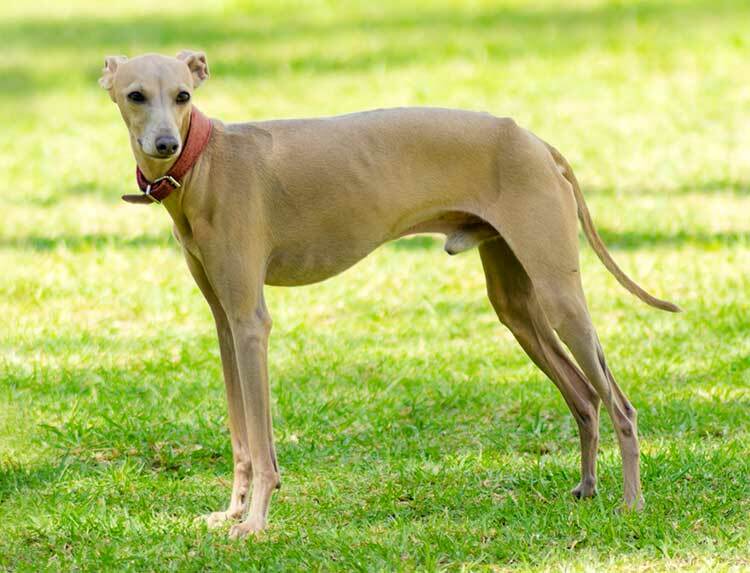 The Italian Greyhound is a perfect miniature of his very much larger, hunting, and racing sight hound cousin, with the same fine, short, glossy coat that needs little grooming to look sleek and shiny. 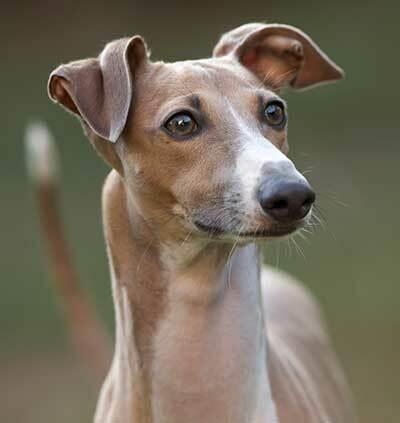 The Graceful Italian Greyhound is believed to have originated in or around Egypt, its ancestors having been found buried alongside the Pharaohs. Later the breed was depicted in Renaissance paintings as a sign of its increasing popularity with the aristocracy. The Italian Greyhound has been much loved by royalty around the world, and has been owned by King Charles I, Queen Anne, and Queen Victoria. African King Lobengula of the Matabele fell in love with the Italian Greyhound so much that he exchanged 200 head of cattle for one. An Italian Greyhound was also owned by the 10th US president, John Tyler, and when this dog chewed some antique furniture in the White House, the president’s wife paid for the repairs herself, rather than ask congress for the money, and reveal how badly behaved the president’s dog was! Friendly and affectionate with its family, the Italian Greyhound can sometimes be quite reserved and shy toward strangers, often appearing aloof in such situations. They respond well to kind, consistent training and with firm early socialization they can grow into a calm, outgoing dog. They will bond well with children, although hectic noisy households may cause them to retreat a little. The Breed Standard specifies an ideal height of 32-38cm and a weight of 3.6-4.5 kg, although it does note that the "overall type and elegance is essential". The Italian is a generally healthy breed although they are relatively delicate as a puppy so care should be taken during the early months to protect them from injury. Italian Greyhounds are more susceptible to the effects of cold than many other breeds because of their short coats and as such will appreciate the benefits of a nice jacket during the winter months.